Browse through a large number of Haunted Houses and other Haunted Places in New York. Get Your Scare on in New York! New York offers some scary and great haunted houses. New York haunted houses bring folklore legends to life. Nightmare will have you scared to walk the streets in New York. Blood Manor has monsters and zombies in 3D. Ulster Park offers Headless Horseman Hayride and Haunted House. Blood Manor NYC is a blood bath of gore and zombies. In Sleepy Hollow no one sleeps at the Horseman Hollow. Bellport haunted house is not for the faint of heart. Enter if you dare to Gateway’s Haunted Playhouse. Pure Terror Screampark sets up to terrorize with Phobia, House of Horror and The Crypt in Monroe. New York is loaded with great haunted houses. Cantine Haunted Estates in Saugerties will have you shrieking in the dark. Zombies and the undead lurk at House of Horrors and Haunted Catacombs in Cheektowaga. These violent battles of the war were over the brutality of slavery and had grown to epic proportion. The Civil War was brutal and most times the soldiers would wish for the end to be near. Lack of food left many starving, lack of clothing left many cold, and the lack of medicine for injury left many doctors to amputate or die of the infection. New York continued to grow. Europeans continued to flow through New York, first from famine in their own country, then from World War 1. Before 1900, the estimate of 8 million immigrants to come through New York was staggering. By 1925, New York was the largest city in the world. By 1929, the Great Depression hit New York particularly hard. A 25% unemployment rate left many to starve and live on the streets. Diseases ran amok. The city, so overcrowded, was not an opportunity for the immigrants, it became a death sentence. With all this deprivation, came crime, murder, chaos, and purgatory on earth. From the suffering to the numerous violent battles, the souls left behind to complete missions, lost between life and death now roams New York. New York is well known in the haunt world for its portals of hell and the revengeful souls who live within its confines. The intense energy these souls expel, helps the living keep they at bay for the remainder of the year. Unfortunately, they must return to do their bidding as part of their mission in purgatory. Demons and messengers of the under-lord return to experiment and do research in their dungeons and chambers in the chill of the fall during the season of Halloween, under the spells of pure wickedness. New York is home to many haunted attractions that are well known in the haunt world. 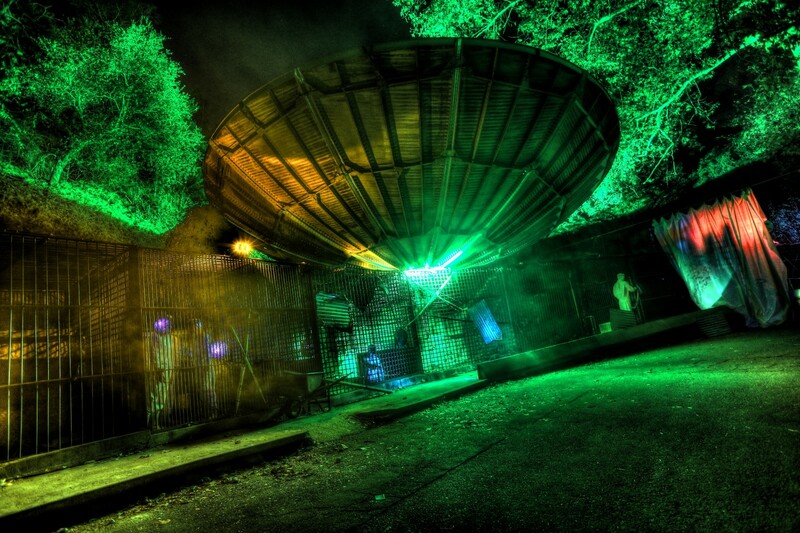 These haunted houses are well worth the trip. These attractions have been seen on many of the local television and radio stations, magazines and newspapers. Visit this world of twisted and deranged: haunted houses, forests, trails, farms, mazes, hotels, asylums, prisons, castles, indoor and outdoor attractions. New York is a state at the top of the haunt world and considered the area’s best for haunted attractions. Find the most innovative animatronics, scary monsters, creepy zombies, demented demons, creatures from the depths of the underworld, cutting edge technology and have your nightmares brought to life right here in New York. When searching for haunted houses in NYC, New York is just a click away. Don’t wait for a review, check them out for yourself. Headless Horseman Hayrides and Haunted Houses celebrates its 20th Year! Headless Horseman Hayrides and Haunted Houses has the honor of being named America's # 1 haunted attraction by the Weather Channel and listed # 1 by USA Today. The New York Daily News gives them the distinction of being the #1 Haunted Attractions on the Planet. AOL News named them the World's Best Haunted Hayride and were voted by MTV fans as “America’s Scariest Haunted House Northeast Region." They were selected as the #1 ScreamPark and Hayride in American by Haunt World Magazine and have consistently been named in the Top 10 Haunted Attractions by CNBC and AOL. American Airlines voted them #1 Outside Attraction. They have been featured on the Weather Channel, The Travel Channel, Comedy Central, Emeril Live, Good Morning America, The Today Show, Nightline, CBS Evening News, NBC Nightly News and featured in several national magazine publications. What sets Headless Horseman Hayrides and Haunted Houses apart from the rest is the backdrop of the Historic Haunted Hudson Valley in New York. 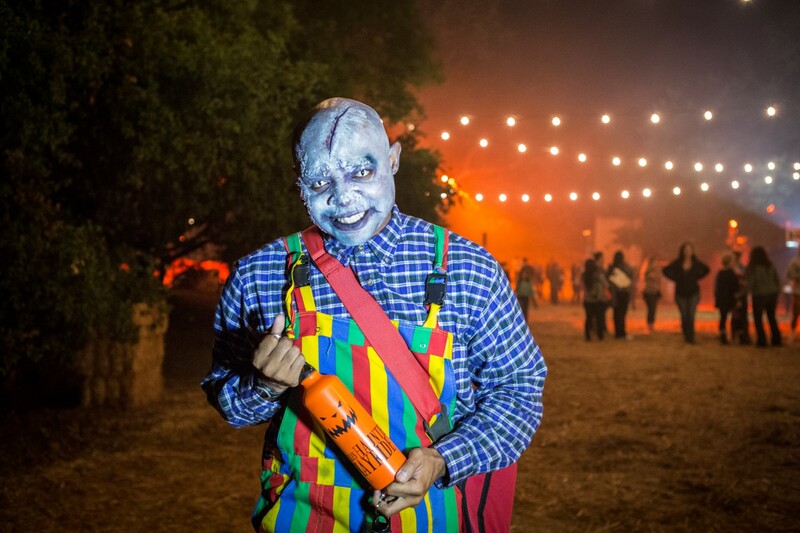 State encompassing over 45 acres of naturally landscaped property, Headless Horseman Hayrides and Haunted Houses is a theatrical experience like no other with a theme that changes every year! It includes a mile long hayride journey with illusions, pyrotechnics, movie quality sets, animatronics, flying stunt performers and high tech special fx, sound, makeup, and actors. Guests are transported into a surreal world of horror and evil! And of course, thrilling encounters with the Headless Horseman! As the hayride journey comes to an end, ahead looms the dimly lit neon sign of the Lunar Motel beckoning you to check-in. The first of six haunted houses followed by Glutton's Slaughter House, the Root Cellar, Dark Harvest Corn Maze, the Nightshade Greenhouse, the Feeding and the Mansion of Dahlia Blood, Midnight Gardens, magic and illusion side show, 5 gift shops and 5 eateries. Each attraction is authentically detailed and themed to replicate what you would anticipate finding on a haunted historic estate. Blood Manor, located in the HEART of Lower Manhattan in the Hudson Square District, we want to break your heart and test your soul with our haunted houses in NYC. Blood Manor in New York City is here to entice your every fear with each horrific blood thirsty encounter with the undead. Beware for nothing stays dead in the Graveyard of the Doomed and the music you hear is not for the ceremony that is going on, it is for your funeral. They seek your fresh donation of warm blood which is pumping through your veins, for they need all that you have. Enter the chamber haunted house NYC, it is overrun by Killer Klowns and no matter where you turn they smell your fear. There is nothing like some fun under the big top, but Killer Klowns have a different definition of fun and you are their entertainment for the evening. Discover our sinister and bloody Disgraceland. You will experience the most gruesome modern mayhem of meat hooks, gore, and all the terror you think you can tolerate. Disgraceland will show you a new level of dementia and torture. Who is stalking you now, Pig Man, Voodoo Rob, or other undead creatures from below? You can feel the spine tingling stares and the horror of your own mortality. Don’t forget to beware of the Wall Crawler in Death Row, for you might be surprised when you look up. Don’t get too friendly with the performers in the Cabaret of Death, that was not a nuzzle on your neck. That could be more than you have bargained for. Zombie Apocalypse! The evil souls that lurk about are seeking forced donations to their BLOOD Bank! Wander through the most insane 3D state-of-art effects in this maze that will drive you insane. You will be catapulted into the horrific images of death and destruction from the demons escaping their eternal damnation below. Horseman’s Hollow in Sleepy Hollow, New York takes the Legend of Sleepy Hollow to a new level. The Phillipsburg Manor is the location of the portal of evil and the restrained energy of the most evil and insanely undead has risen. These unfortunate souls allow you to visit, but never want you to leave. They lurk in the shadows under the glow of the moon, ready to terrify when the moment is right. Negotiate the trail and enter the twisted maze of horrors. There is a party in honor of the Horseman, and you have just stumbled into his lair, too horrible to describe. Heads will roll, be careful or it might be yours!! Horseman’s Hollow was featured on CBS National News and the reviews are awesome. Horseman’s Hollow is not suitable for small children, faint at heart, or those with health concerns. The Horseman’s Hollow is brings the dark Legend of Sleepy Hollow to life. PureTerror Screampark located in Chester, New York is Orange County’s Largest and one of THE HUDSON VALLEY scariest haunted attractions. PureTerror Screampark new location has stepped up the Terror. The surrounding Trees will Muffle the Screams and cries of those who dare enter the grounds of PureTerror Screampark. ALL NEW FOR 2012 PURETERROR HAS 5 HUGH HAUNTED HOUSES AND ARE ALL NEW COME AND SEE THE PURETERROR FOR YOURSELF AND YOU WILL KNOW WHY WERE RATED AS ONE OF THE SCARIEST HAUNTED SCREAMPARKS IN THE COUNTRY. We will test your courage! NEW 2012: The Crypt. This labyrinth of twists and turns into our underground cave system of forgotten graves will have you hoping to get out alive. There are surprises within as the creatures from the underworld seek your terror and are only at Pure Terror Screampark. NEW 2012: The Butcher’s Revenge. Can you escape the Butchers dual chainsaws in this horror shop of blood, gore, and SMELLS of death? The Butcher’s Revenge haunted house NYC will have you begging to get out! CAN YOU ESCAPE THE BUTCHER! Terror Under the Big Top: is an adventure with the indescribable and new technologically advanced vision in 3D. The clowns are not here to make you laugh; they are here to bring your worst nightmare to life. What is real and what is not? The state of art 3D can’t be compared and is the best, must see encounter that will have you wondering what your eyes have just seen. The house of Terror: You have just entered your worth nightmare. This Haunted House will have you on your hands and knees begging to get out. Will you get out ALIVE! The Trail of Terror: Take the trail to your fears twists and turns in our dark woods with the creatures of the night. The Terror is real only at PureTerror Screampark Double M Hayride in Ballston Spa, New York opens the portals to the underworld and reveals the evil that will chill you to the bone. One price for admission and enjoy all of the haunted attractions for an experience you won’t soon forget. Take a ride on the tractor drawn wagon with a guide to the darkness of night. Haunted Hayride welcomes you to the woods of terror and surprise. Around every tree an uninvited guest is waiting for the right moment to meet you. The Haunted Hayride is where evil lurks and enhanced with special effects, professional actors, and animatronics, is a mix of fright and fun for everyone. Everyone likes the circus, except the clowns in our circus are not too fond of the public. Clown CarnEvil will have you laughing or crying, in your face fright, for a scream of a good time. Continue to the Nightmare Manor Haunted House where the souls are restless and the terror is all around. Hear the screams in CAGED? Our newest attraction is a haunted maze that will twist and turn you around until you have had enough. This demented and crazy maze is a test to your fears of being caged for eternity, a prison in your own mind. For you little screamers we suggest the Daytime Hayride and Corn Maze for a fun adventure and a good night sleep. Gateway Haunted Playhouse of Horrors in Bellport, New York has transformed during the crisp fall air and darkness of night. The ancient Bellport estate contains a portal to the depths of the underworld. We can no longer hold the undead creatures that reside in the underworld below. The undead have arrived and are wreaking havoc in the Gateway Haunted Playhouse in Bellport. Beware as you enter the horrific graveyard for a trip of terror; every twist and turn will assault your every sense of well-being. The undead hunger for your screams and thirst for the warm blood of the living. They seek to mutilate all living creatures. When your heart pumping, adrenaline filled screams fill the air the excitement builds and this draws the evil from the fires of a world of terror your nightmares are made of. You cannot see or anticipate what or who is coming after you, but fair warning, wear something you can run for dear life for you may need to save yourself and escape with your life. The Gateway Haunted Playhouse is a professional haunted attraction and is not recommended for those under 13. House of Horror and Haunted Catacombs presents the Six Gates of Hell – Western New York’s Largest and Most Terrifying Haunted Attraction located in Cheektowaga, New York. We have located a portal to the most sinister and evil and have been harnessing them for the past year, but their becoming so powerful, they must be released to seek victims for their master of the world below. Will you tempt your fate and see if you can make it through the evil within; or fall prey and become one of them. We’ve all heard of a place so evil, when you walk by you feel a chill run down your spine, we call this HellHouse. You have all heard the stories, the murders committed within the confines, the bizarre rituals; the horror that continues to grow has been unleashed inside the walls of HellHouse. You are welcome to enter; your escape is up to you. The horror of death is final; come in an experience the unspeakable in Buried Alive. As you enter the most dreaded funeral, you realize it is your own. You are lowered into the darkness that entombs you with finality; the only problem is that you are Not Dead! Scream, Beg, make all kind of noises but not one hears you. You are Buried Alive! You have just entered the nightmare of nightmares; Body Harvesters seek flesh, blood, and the body’s organs for a horror of helpless feeling. You are being herded like cattle into the Human SlaughterHouse to be torn to shreds limb to limb. Beware the Army of the Undead are everywhere and we call them Body Harvesters. Within the depths of the forbidden your journey through the uncharted takes you to face the repugnant blood thirsty creatures of Jungle Rot. What evil and horrible creatures inhabit the jungle? Beware: they can smell fear and you have it all over you and your group of warm heart pounding flesh. Find your way out of Jungle Rot fast for your life depends on it. You must be quick in The Gas Chamber, time is ticking and the mutants are everywhere. Save yourself before the gas takes over your body and stops you Dead in your tracks. You will appreciate taking a breath of fresh air before you enter for it just might be your last deep breath you take. Welcome one and all to the sickest show on earth: Wicked Freakshow in 3D. Curiosity may get you inside the walls of the Wicked Freakshow in 3D but these mutations of clowns, demons, and freaks may do everything to keep you from going out. All the world’s greatest oddities and freaks come together to torment and taunt all who enter their world of normal. A violent mutated virus from upstate New York is expected to spill into the Bronx, New York; resulting in Bronx Haunted Warehouse the day where the Zombie Apocalypse begins. It is believed that this mutated virus will reach its destination by early October. Scientists are frantically working around the clock on a retro-viral vaccine to combat this violent virus. Unfortunately, they estimate the vaccine will NOT be ready until the end of the October. Due to this unfortunate span of time, preliminary quarantine protocols are set to begin the first Friday of October. The safest location has been identified as a warehouse at 1157 Commerce Avenue (Pelham Bay), all are asked to relocate to this warehouse before the outbreak spreads to uncontainable levels. Many believe this location has already been infected and Zombie sightings have been reported. New York is warning all residence and visitors that Zombies have been sighted! Those brave enough to seek this location are advised to avoid being bitten at all costs. Flesh Eating Zombies have been reported in the Bronx! Warning: Flesh Eating Zombies have been seen in the Bronx. You will witness a person become a zombie. Once a Zombie they will chase and terrorize all who are near, for they seek to infect others. You are not safe, go to the Bronx Haunted Warehouse at 1157 Commerce Avenue now; you are not safe, even when you think you are. Bronx Haunted Warehouse where the Zombie Apocalypse begins. Don’t wait for a review, follow preliminary quarantine protocols now! Ten Thirty One Productions (TTO), the worldwide leader in producing live horror attractions, will bring the most popular Halloween attraction in the country, Los Angeles Haunted Hayride, to New York City this October for the first time ever. The wildly popular attraction annually held in Los Angeles, led Mark Cuban to make the largest investment in “Shark Tank” history followed by another investment by Entertainment giant, Live Nation. TTO will now be bringing its biggest and best scares from seven years of haunting the west coast to the east coast for the most horrifying experience in town. The terror on both coasts starts on Monday, October 2 and will be open through October 31. Past celebrity attendees at the Los Angeles Haunted Hayride have included Ryan Gosling, David Beckham, Katy Perry, Zac Efron, Kristen Stewart, Demi Lovato, Eva Mendez, Nikki Reed, Megan Fox, Sarah Hyland, Lucy Hale, Chris Colfer, Taylor Lautner, Kellan Lutz, Dax Shepard, Forest Whitaker, Emmy Rossum, Sarah Silverman, Kristin Ritter, Jillian Michaels, and many more. The New York Haunted Hayride anticipates to draw just as many notable names. Tickets for the New York Haunted Hayride start at $35 for General Admission and VIP Admission for $50. TICKETS GO ON SALE ON WEDNESDAY, JULY 21. Save $5 on Wednesday and Thursday with Super Saver tickets (limited availability). Private wagons, which include VIP status, can be purchased for $995. Group rates are also available. For more information on tickets, hours and directions, please visit www.newyorkhauntedhayride.com for complete details. The Los Angeles Haunted Hayride and New York Haunted Hayride are Fur Free Attractions; there is plenty of blood and guts on the ride!